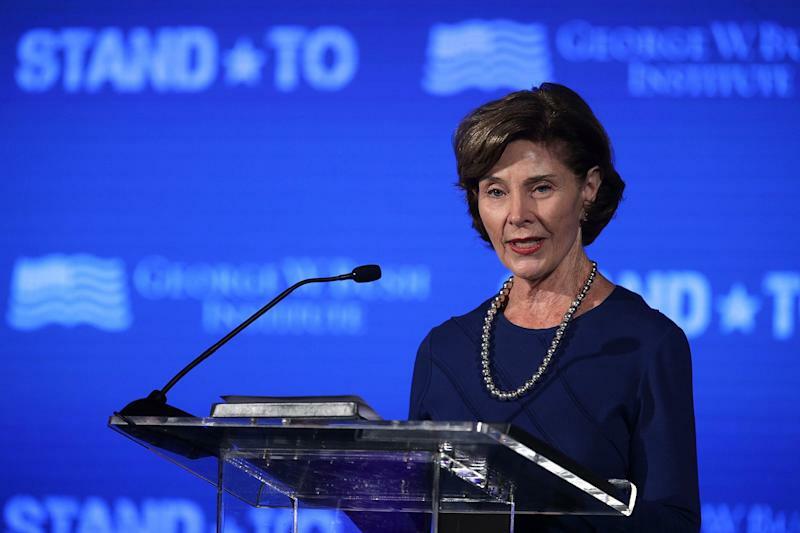 Former first lady Laura Bush issueda rare castigation of the Trump administrationon Sunday, calling family separations at the U.S. border with Mexico “immoral” and drawing parallels to World War II internment camps. Bush’s editorial in The Washington Postmirrored growing criticism of the Justice Department’snew policy to prosecute as many people as possiblewho cross the border illegally. The move, announced last month by Attorney General Jeff Sessions, has already resulted in a massive spike in children being separated from their parents. Last week, DHS announced thatnearly 2,000 kids had been separated from their parentsduring a six-week period ending last month. Many arecurrently being held in juvenile detention centers. The Bushes have beennotably quietthroughout President Donald Trump’s first term, just as they were during Barack Obama’s presidency. Former President George W. Bush appeared to push back against White House policy last month when he warned about the “dangers of isolation” during an awards ceremony, but his wife’s editorial was a far starker rebuke. “Our government should not be in the business of warehousing children in converted box stores or making plans to place them in tent cities," former first lady Laura Bush wrote in an editorial on Sunday.